This concoction (Lemon Water + Baking Soda) is doing amazing things so I thought it was a must share. This combination alkalizes the body which helps kidney care, while helping the body remove toxins and burn fat. It also helps with digestion and has the ability to combat acid reflex. Lemon Water + Baking Soda is a great start to your day (preferably before breakfast) as it helps purify the liver while providing a great dose of vitamin c, potassium and antioxidants. It also helps regulate the levels of bad cholesterol, LDL thus improving cardiovascular health. Below is more information, brought to you by www.trueactivist.com who has a great article written up about Lemon Water + Baking Soda. Dior Addict. One of my all time favs. It's the perfect year round scent and I will definitely continue to purchase it. Origins Clear Improvement Active Charcoal Mask. As you can see, this is a sample size that I got using my Sephora rewards points. I really enjoyed this mask and will repurchase it. A little goes a long way with this product and my skin really enjoyed it. Elizabeth & James Nirvana Black. I really like this scent! I wouldn't put it as a top 5 favorite perfume but it would probably make the top 10 list. I prefer this scent during the fall & winter. 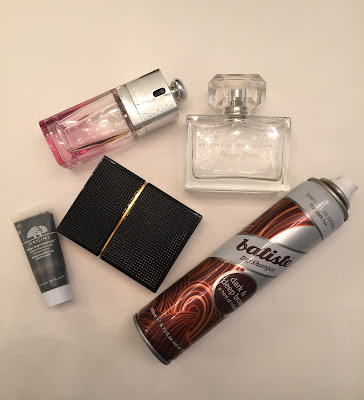 Batiste Dry Shampoo in Dark & Deep Brown. This is my go-to dry shampoo; It's perfect for my hair color. I buy these in bulk on Amazon because you can never have too much dry shampoo. It is definitely dark, so make sure you're careful when using or your entire bathroom will turn brown. Ralph Lauren Romance Always Yours. This is actually my older sister's favorite scent and has been since we were in high school so I naturally love it. I like this perfume best in the cooler months, possibly because it gives me that cozy home feeling. Love you, sissy <3. Teeth Whitening. 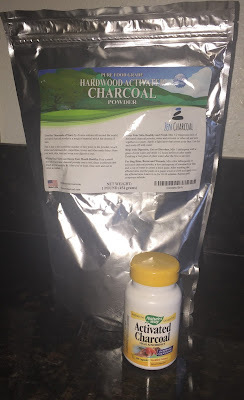 I like to use the powder form and simply get my toothbrush wet, put the activated charcoal on the brush and just brush it all over my teeth while brushing as usual. Be careful because it does stain everything else it may touch. Mold Cleansing. We don't like to think about the facts when it comes to mold living in our body but it unfortunately does. Toxic mold can cause depression, kidney and liver failure, eye irritation, heart failure, decreased brain function, vomiting, severe respiratory disease and imparied immune system function. Bloating. If you're just having one of those days, activated charcoal is a great way to help with that uncomfortable feeling. Water Filtering. Great way to filter your water. Skin and Body Health. Can help relieve discomfort from insect bites and also help with body odor issues. Anti Aging. Because of it detoxify qualities it helps flush out the gross stuff in our major organs keeping us good as new. It also helps with that annoying brain fog we get every now and then. *Activated Charcoal can cause dehydration so it's imperative to drink 12-16 glasses of water per day. If you've been eyeing anything on Vitacost, now is your time to head over and get it! They're having a 15% off sale right now! The sale ends tomorrow morning! Fight a Cold & Win! Colds are one of the most annoying things ever. Whenever I get a cold (usually only once a year) I always like to reflect back on the precious days where the cold was no where in sight. It just makes me appreciate life more, ya know?! Here are some hopefully helpful tips to help you or anyone you may know suffering from one of these annoying bugs. Note: Not everything mentioned is pictured. FLUIDS. All day, every day. You should pee around 234,367 times a day when you're sick. Refer to: Water, Coconut water, Lemon Water, Pedialyte, Soup, Tea. I have included many options so you have no excuse to not drink up ;). GARLIC. I cannot stress enough how amazing garlic is. It's not very fun having to chomp down those cloves but they sure are miracle workers. I eat about 6 cloves of garlic throughout the day if I feel a cold coming on or if I'm suffering from a cold. ZINC. I usually take Zinc every single day but it is also a necessity in helping the immune system if you're dealing with cold symptoms. VITAMIN C. Load up on Vitamin C tabs & Emergen-C.
ECHINACEA. Helps shorten cold symptoms. B12- If you're able to get a B12 shot, do it. If not, there are other great alternative such as the B12 spray pictured above. MULTI VITAMIN. Make sure to be getting your daily vitamins especially when you're ill.
COCONUT WATER. To help stay hydrated. If you're anything like me, it's extra hard to drink plain water when you're sick. PEDIALYTE. Another alternative to water that will also help keep you hydrated and keep your fluid up. BATH. I love taking warm Epsom Salt baths when i'm sick. It helps with relaxation, congestion and body aches. TEA. Green Tea is my go-to. Any type of Nighty Time Tea is also great to help to get a great night sleep. GARGLING SALT WATER. If you have a sore throat, this tends to help. If your sore throat is severe, you may have to resort to throat lozenges, try to make sure the ingredients are natural. SOUP. A great way to sooth your throat while getting more fluids and filling your tummy. ELDERBERRY. Boosts immune system function while protecting against bacteria and infection. SUN/FRESH AIR. I know when you're feeling horrible it's not easy to get up and go sit outside but I promise it will help. LEMON WATER. Another great alternative to water while the lemon juice is an amazing detox to the bacteria. MANUKA HONEY- Helps with sore throat and immunity while including many other healthy benefits. APPLE CIDER VINEGAR. I take a shot of this a day. It's very detoxifying and cleansing. REST. Try to use this time to catch up on a good show or book :). I hope some of this is new to you and can help someone who may be suffering! Remember to try to fight any urge to consume anything unhealthy or unnatural as all that will do is slow down the healing process. These are the vitamins that I take every single morning after breakfast. Note: The brands of these vitamins pictured are not staple brands of mine as I often switch the brands up. 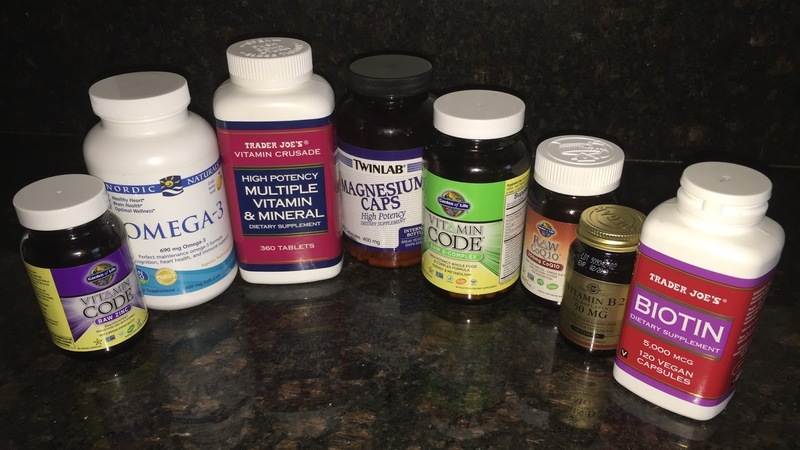 I purchase most of my vitamins on Vitacost or will sometimes grab them while shopping at Trader Joes. Zinc- I take Zinc to regulate my immune function, as I travel often making myself susceptible to common colds. Omega-3- Helps with general brain function & heart health. Multi Vitamin- I eat extremely healthy as is, so I am usually getting my "multi vitamin" benefits within my meals but I choose to include this into my diet just to be safe. If my body doesn't need the extra love it will simple disregard it without harm. Magnesium- I personally take this because of my migraines. I usually get about 4-5 migraine with aura attacks per year so my migraine specialist has put me on this to help with those attacks. B Complex- This supplement increases energy, relieves stress, reduces heart risk disease and helps with PMS. CoQ10- This is another one that I've been put on by my migraine specialist. CoQ10 is also known to promote energy levels. Vitamin B2- This is the last but not least vitamin that I have been put on by my migraine specialist. B2 promotes formulation of red blood cells, boosts mineral absorption in the body and ensures proper growth of organs and nervous system. Biotin- Strengthens hair & nails, improves skin, supports metabolism, lowers cholesterol and regulates blood sugar. Each of these vitamins also portray other benefits that I did not mention, so remember it's always great to do your own research to discover the different benefits of the vitamins and which are best for you personally. Remember, above all, food is the best way to get your vitamins.